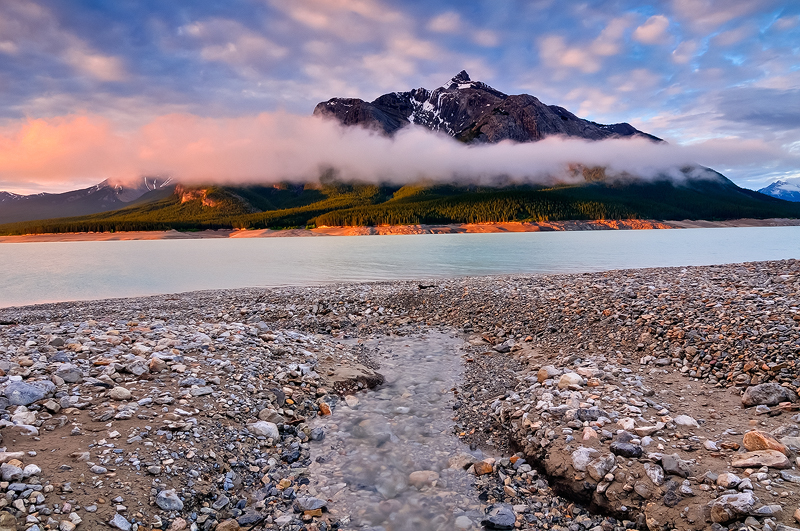 Abraham Lake Sunrise Nordegg | Abraham Lake, Alberta. Beautiful sunrise glow casts itself upon Mount Michener. I camped nearby and this was my view looking out the tent. I loved the multiple layers of cloud mother nature provided that morning!